Social media monitoring sometimes called social media listening, a practice of checking what’s being said about something or someone on social media platforms or topics about which people are talking about on social media. Social media monitoring is being performed in different ways like keywords tracking, hashtags, and, mentions. This type of results helps other business to check the positive and negative points of their competitors so they can perform better than their competitors. 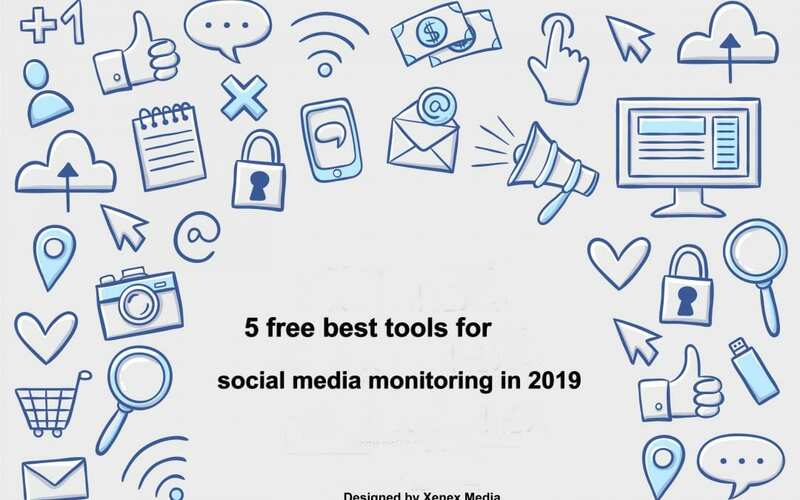 Here we will discuss different 5 free best tools for social media monitoring in 2019. Each tool offers a different set of data to help you to adopt different social media strategy for your business according to the competitor’s social media monitoring results. TweetDeck is an amazing tool to use during events or live tweet storms. This tool also helps us to keep an eye on our brand and other similar brand’s notifications and mentions which help us to change our strategy for producing more positive results. SocialMention is providing results related to the blog, microblog, images, videos, and, content related search terms from all over the search engines which help us to make better strategies for our business and execute them. TweetReach provides you the results snapshot or screenshots that include the results of any twitter post reach that include hashtags, keywords, and content. TweetReach is a paid tool but it will provide you free Tweet Reach results of first 100 twitter posts after reaching 100 posts you have to subscribe to this tool for TweetReach results. Followerwonk provides you the results of search users profile bio and their mentions including you and your brands free. For more insights you need to get paid versions of this tool. SumAll is an amazing tool which provides you with the results of different social media platforms that include Facebook, Twitter, Instagram, and LinkedIn. These results include followers, mentions, interactions, and engagement.